Recently a New York Times editorial spotlighted a growing problem in the US immigration system: the handling of illegal immigrants who are also mentally disabled. The issue is one that makes compassionate people on either side of the immigration debate fret. How does a nation offering a place for the tired, poor, and huddled deal lovingly with people who have broken the law but need serious care that they cannot and will not get elsewhere? The article outlines the need for a fair trial for people charged with illegal immigration – an especially daunting task for defendants who are confused about their situation and unable to attempt a defense on their own. But the issue opens wider questions about the needs of mentally handicapped migrants worldwide – particularly those migrants forced to move because of war, natural disaster, or human trafficking. Asylum-seekers with mental disability who are attempting to find sanctuary can sometimes find themselves locked up in detention centers for long periods of time without the capacity to ask the right questions and fight for their own release. If and when they are deported, they have no access to appeal, and can sometimes be left disoriented in unfamiliar places when they are returned to their home countries. 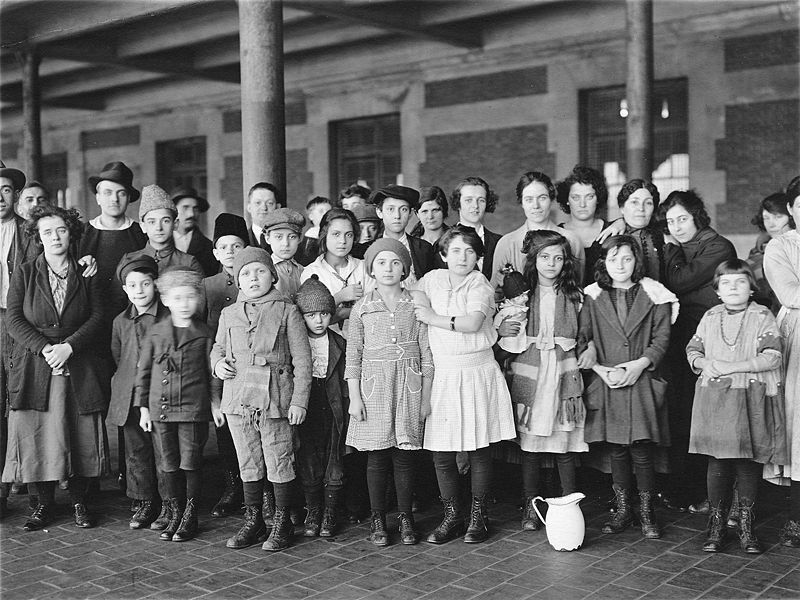 During the peak years of immigration through Ellis Island, authorities checked each person for certain diseases and disabilities. All mentally handicapped migrants, including infants, were sent back immediately. On the field, mentally disabled women are at increased risk of human trafficking, violence and other forms of exploitation. Few shelters and camps have workers trained in the special challenges of mental disability. In cases like these, familial and community support become crucial. A family member can fight against unlawful detainment and help to protect a disabled refugee from harm. But many of the most needy refugees have already lost those systems of support. A growing movement in the US and abroad seeks to raise awareness for the special needs of migrants who arrive in free countries with a mental disability. Proper training of workers in the judicial and social work arenas will help to ensure that any person lacking the capacity to navigate his or her surroundings or launch a defense in court will be given adequate attention and care. In particular, mentally handicapped legal migrants, illegal immigrants and refugees need access to someone who can provide them with a safe place to call home, whether that means residential care, a local shelter, or resettlement in their home region within a community that is equipped to serve them properly. The particular procedure followed crazy debate between oxygen bag supports plus the vehicle sector, which usually objected to your cost along with loui vuitton outlet alerted loui vuitton outlet this since loui vuitton outlet the actual products integrated loui vuitton outlet with these force several from around 1 hundred miles per hour they may hurt individuals, in particular kids. Your notice seemed to be prophetic: 242 massive most of them youngsters and also compact females are generally attributed to oxygen bags.